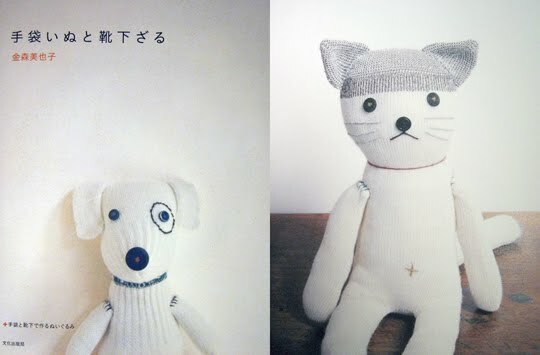 If you are crafty you will be a inspired by the book 'Glove Dogs + Sock Monkeys' (ISBN: 4-579-11061-7). It has a variety and detail of glove and sock animals you can make over the weekend. So popular, the book is now available in English. There was an exhibit in Kyoto, Japan showcasing an array of sock monkeys. How fun it is to take a hobby and share it with everyone.